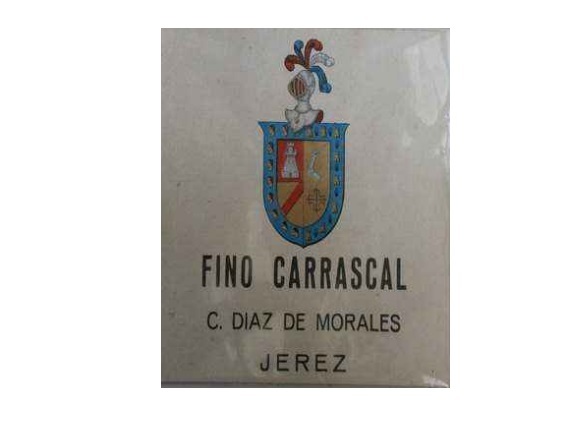 The history of so many bodegas in Jerez is full of twists, and that of Celestino Díaz de Morales is no exception. The firm arose from two old bodegas which became linked by marriage and inheritance. It all began at the beginning of the 19th century, 1800 in fact when the Sanluqueño José Ubreva established a bodega which soon contained some excellent wines known as the “Soleras Ubreva.” A little later in the early 19th century Pedro López de Villegas, born in 1788 in Cóbreces (Cantabria), also founded a bodega of high repute. By the end of the 19th century, it was located at Calle Ferrocarril, 10, moving to Calle Cervantes in 1916. Celestino Díaz de Morales was born in Jerez in 1893 and in 1934 married Petronila Ysasi Ivison, descended as her name suggests from bodega royalty. Celestino established a bodega under his name in 1964 using the soleras he inherited from his father, Pedro Díaz y López (Jerez 1866), who already had established brands such as Amontillado Alcalde, Solera Real, and Quina Cantabria. The grandfather of Pedro Díaz y López founded these Soleras. Celestino’s bodega also contained wines inherited from his mother’s side of the family in 1916. Her name was Mercedes de Morales Ubreva (Jerez 1872). Her parents were Miguel Morales y Morales (Arcos 1826) and Cayetana Ubreva Bardayo (1840-1920) and had inherited the famous soleras of José Ubreva. These would reach great heights in the hands of Celestino. Miguel de Morales Ubreva (1864-1904), son of Miguel Morales and Cayetana Ubreva went to London as the representative of the family business. Here he met and married María Lasa Eguibar in 1884 but died young of nephritis leaving four daughters. 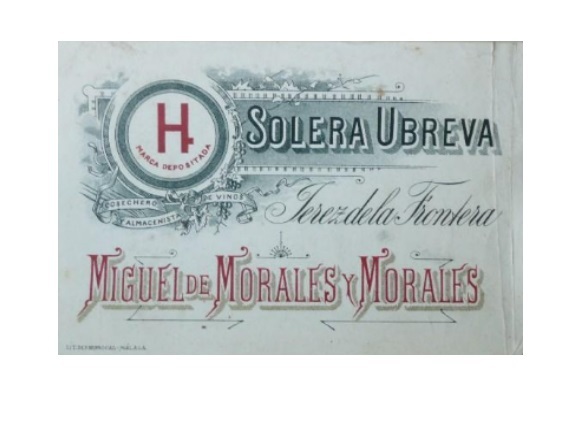 Of Miguel Morales y Morales’ other eight children, José María de Morales had a mainly almacenista (small family businesses) bodega at Calle Ávila, 6, but was also known for his brandies Uno, Dos and Tres Racimos. He died aged only 38, but his widow kept the business going till 1909. His brother Rafael also had a bodega at Calle Bizcocheros, 16, where he specialized in spirits, while yet another brother, Manuel, had a bodega in Calle Paralejo, moving in 1913 to Calle Zaragoza. Having no children, Manuel took on as a partner Juan José Palomino Jiménez of Palomino & Vergara who gradually absorbed the firm. From the late 19th century the family home was located at Calle Tornería, 7. The building was converted into flats a few years ago. 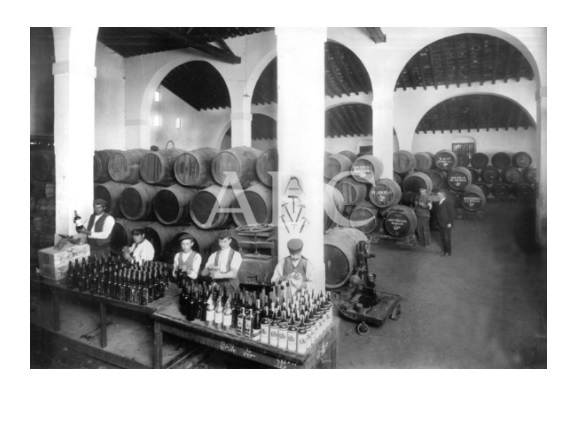 In 1900 the Guía Oficial de Jerez placed the firm at the Plaza de Los Santos where the bodegas included offices and a cooperage, and there were other bodegas at the Plaza Peones and Plaza del Cubo. Miguel Morales y Morales owned several vineyards, among which were San Cayetano, San Miguel, and Nuestra Señora del Carmen located in the Pagos Macharnudo, Carrascal, Balbaina, and Carrahola. He also owned several famous brands: Jerez del Abuelo, Amontillado Selecto, Solera de la Serranita, Amontillado NPU 1810, Pedro Ximénez 1820, Naranja 1780, Gran Coñac Español, Anís del Corzo, each carrying the distinctive “H” logo. The firm of Celestino Díaz de Morales, which had inherited from Miguel Morales y Morales and Pedro Díaz y López remained in business until it was taken over by Rumasa in 1976 and subsequently disappeared. Among their brands were Anís del Canario, Fino Carrascal and El Grillo.